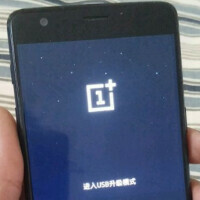 Earlier today, we passed along some of the alleged specs for the unannounced OnePlus 3 which were disseminated by tipster Evan Blass. Now, a fresh rumor has the unveiling of the OnePlus 3 taking place on June 14th. This comes from a OnePlus live chat rep who reportedly revealed the date to someone on the OnePlus website. Like last year, when OnePlus sent out 30,000 Google Cardboard VR headsets for the unveiling of the OnePlus 2, the company has already announced that it is returning to the world of VR to unveil the OnePlus 3. Instead of sending out free Cardboard headsets, it is going to ship 30,000 Loop VR headsets. Created by AntVR and OnePlus, the free headsets (those who requested one still had to pay the taxes) are more substantial than Google Cardboard, and work with any phone with a 5-inch to 6-inch screen. Like last year, OnePlus will unveil its new flagship phone using VR. Unlike last year, those watching the event with the Loop VR headset will be able to purchase the phone in Virtual Reality. If the OnePlus live chat rep is telling the truth, we should know all about the OnePlus 3 three weeks from today when the device is unveiled in VR. And if you can't get the Loop VR headset (it already is sold out), you will still be able to view the event on your phone. OnePlus still needs to make this date official, and release information on how those interested can join the VR feed on that date. Stay tuned! 6 gigs of RAM? More is always better I suppose, although I find it hard to believe any number of tasks on a phone require that much RAM. Come on Android OEMs.....work..on..optimization!!!! I am kinda glad there sticking to their guns with 1080p though :D.
Whole heartedly appreciate OnePlus for sticking with 1080p display. Not buying android device anytime soon but I hope OnePlus could make 3 their best device so far (2 wasn't if you ask me. I am torn. They are having a VR launch yet no 2k screen? 1080p is sufficient for VR, but 2k & 4k are optimal and the future. To compensate, a larger battery would have done (Nowadays they have phones with 5000mah that are relatively thin). But, I guess that would increase cost and that is why they didn't do it. That's probably what happened. We have to remember the standard Oneplus models usually start at under $400 USD. No way you can get all those luxuries in a phone that cheap :D.
Yes probably. That's disappointing since the original OnePlus One was truly a flagship killer. Everything after it had to many compromises. And here is where all the disparate nomenclature runs into issues. I am assuming (as is the most common use) that by 2K the person above meant QHD (4x720p) not to be confused with qHD (1/4 of 1080p - 960x540). You make a good point that FHD could be considered 2K though. Furthermore, technically, 4K could be the cinematic variant (4092x2160) or refer to UHD (which is 4x1080p - 3840x2160) Confused yet?